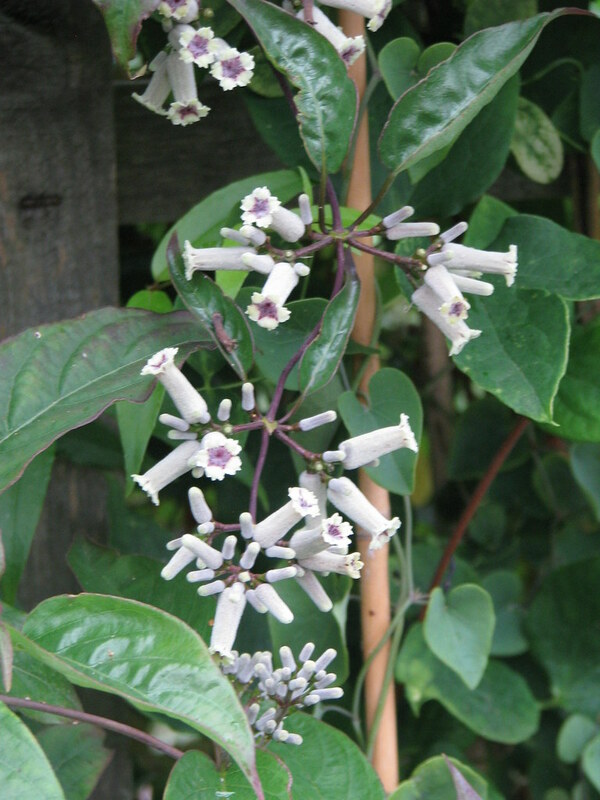 An unusual subtropical/warm temperate, deciduous, twining climber from eastern Asia. 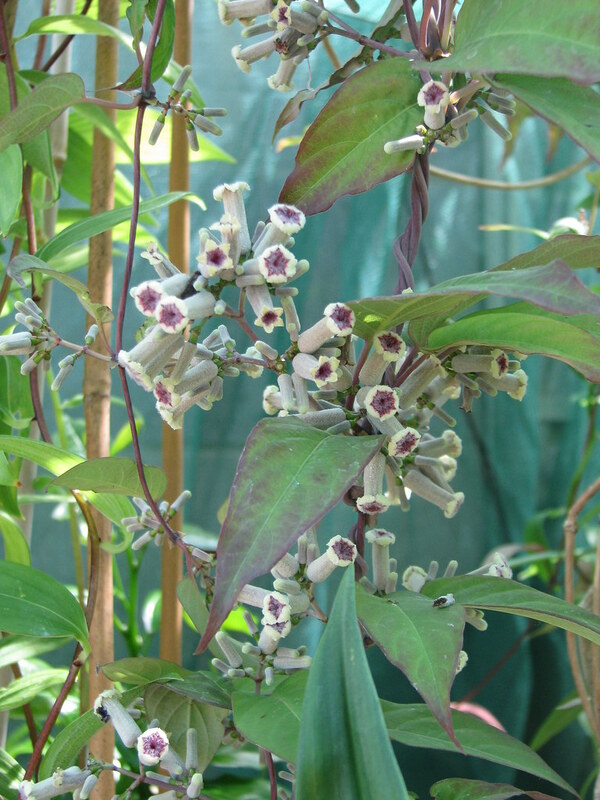 The flowers are very distinctive – they come in clusters in early summer, are more or less tubular, to about half an inch long, pale on the outside and plum purple inside. They may be followed by orange berries. Untried here but worth a go in a sheltered position outside. 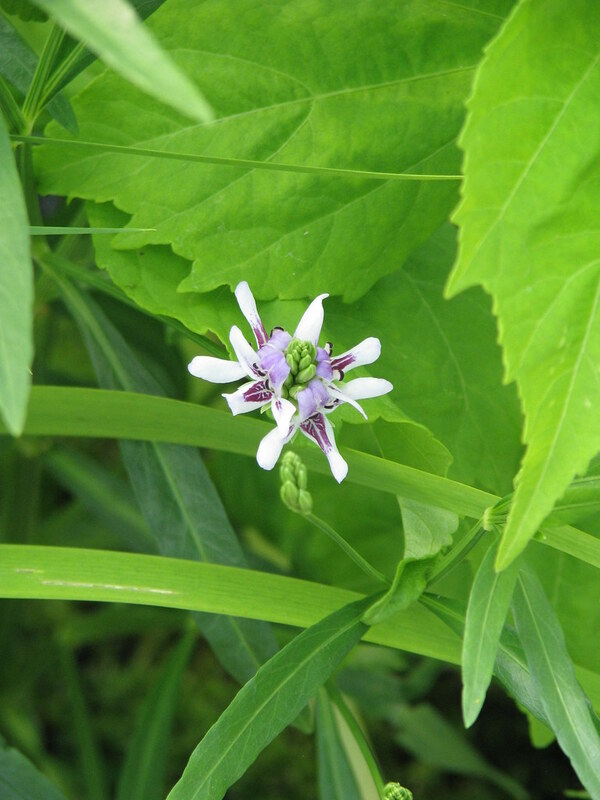 Fully hardy acanthaceae are relatively rare in cultivation, and most Justicia are tender herbs and shrubs, so this one comes as a slight surprise. 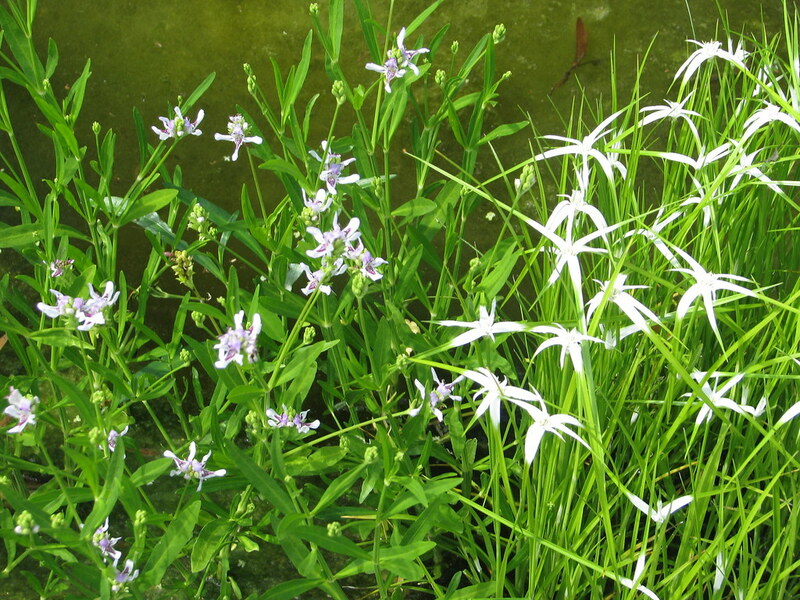 This is a rarely grown North American marginal producing heads of pretty violet/white flowers over fresh green foliage for a long while in summer.